The first time I met my friend V’s fiancé KJ, he joined us and another friend for hiking yoga. I knew KJ was smitten with V when I sensed how important it seemed to him that her friends like him. I took to him immediately: he’s genuine, kind, quirky funny and treats her so well. He fit in with us like an old friend. V and KJ graduated from the same university and are even in photos together, but didn’t really know each other in college. They re-entered each others’ lives five years later when they met at a run club in Los Angeles. Few who know them were surprised when, four years after their reconnection, V and KJ announced their engagement. 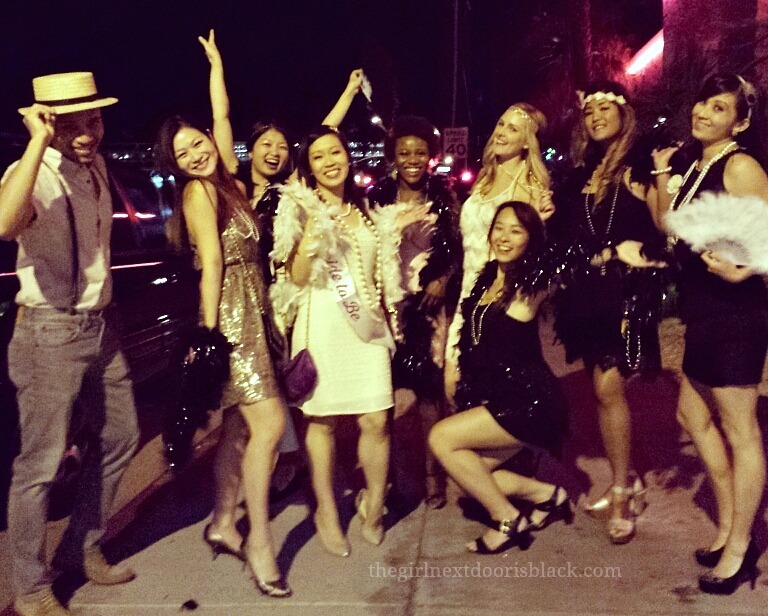 To celebrate her upcoming nuptials, I joined V and nine of her college friends (she and I met at work) who drove or flew in from Los Angeles, Hawaii and Virginia for a three and a half day “roaring ’20s”-themed bachelorette party in Palm Springs. The bridal party booked a four-bedroom mid-century home, including a heated pool and hot tub, just a few minutes from downtown Palm Springs. Thankfully we landed without incident, other than my heart palpitations and someone’s potentially traumatized child. The bride also flew down from San Francisco, but on a later flight. Unfortunately, after two rocky attempts to land in Palm Springs, her flight was diverted to Ontario Airport, about an hour northwest of Palm Springs. Understandably shaken, V and 12 others passengers exited the plane, opting to find their own way to their destination. 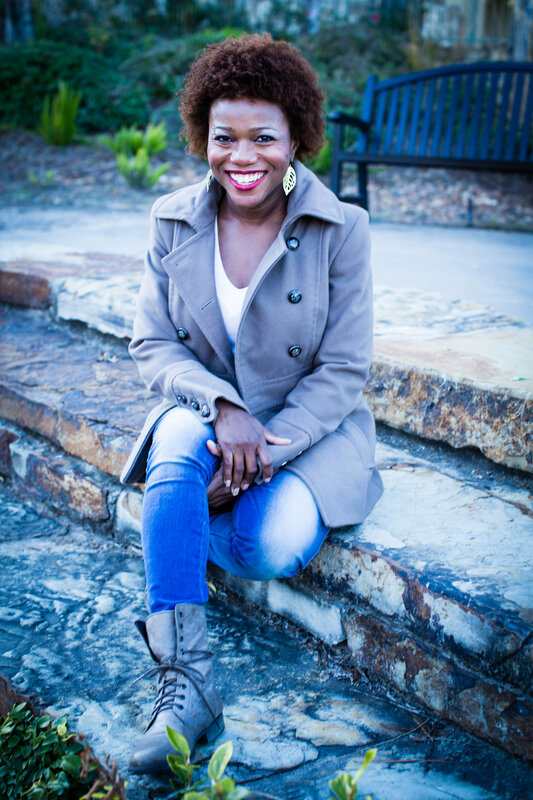 Happily, she arrived that night after catching a ride with a friend – her former roommate – driving in from Los Angeles. Bachelorette party nightmare averted. We welcomed her by hiding in the dark, pretending not to be home when she arrived. The festivities officially kicked off the following morning with a ride on the Palm Springs Aerial Tramway, the world’s largest rotating aerial tram. In just over 10 minutes, the massive pod ascended more than 8500 feet above the canyon. We exited the tram to find the temperature dramatically lower at 25 °F, low visibility and the ground covered in fresh snow. Both V and I showed up inappropriately dressed for the climate – who expects winter in the California desert in May? – so we purchased snazzy new lounge pants from the gift shop to cover our legs. We speed-walked, lunged and jumped our way through a 1.5 mile nature walk, trying to generate heat with each movement. High in Chino Canyon we found giant pine cones fallen from towering, fragrant pine trees, lush fir trees, the homes of crayon-colored birds and chittering creatures, as our footsteps left imprints on drying powder. After an outdoor barbecue lunch (burgers, pasta salad, grilled corn, summer salad and fresh fruit), it was pool time for some, while others napped to power up for our evening of dinner and dancing. That evening, each of us dressed to the gills in our best approximation of 20’s style garb for a night on the town sure to be the bee’s knees. Following an appetizing meal at The Tropicale, our group headed next door to the Miami-themed Copa Lounge, where we danced our way to sore feet. This is only ONE of the photos a very drunk woman took for us outside of The Tropicale. As she slurred her words and showered us with compliments and overtures of of friendship, she directed our poses: “look happy,” “Ok, now be crazy silly, fun, fun! !, until we finally cut her off. We started the next day strong with an in-home modified Barre class led by one of the bridesmaids J, who teaches at a studio in Texas. Though we’re a pretty fit group and everyone has their preferred workout of choice (cross-fit, hot yoga, Pilates, SoulCycle, etc.) the class challenged us. We giggled through our pain. J gives good Barre. “Embrace the shakes & quakes!” J encouraged us as our muscles burned. Post Barre class and breakfast, the tenth member of the group, a 7-months pregnant TO, joined us just in time for a photo session by the pool. Later that evening we regrouped for a three-course dinner at The Workshop Kitchen + Bar, recent winner of the James Beard award for best restaurant design. A bachelorette party in your 30s is a different animal than that of a twenty-something. 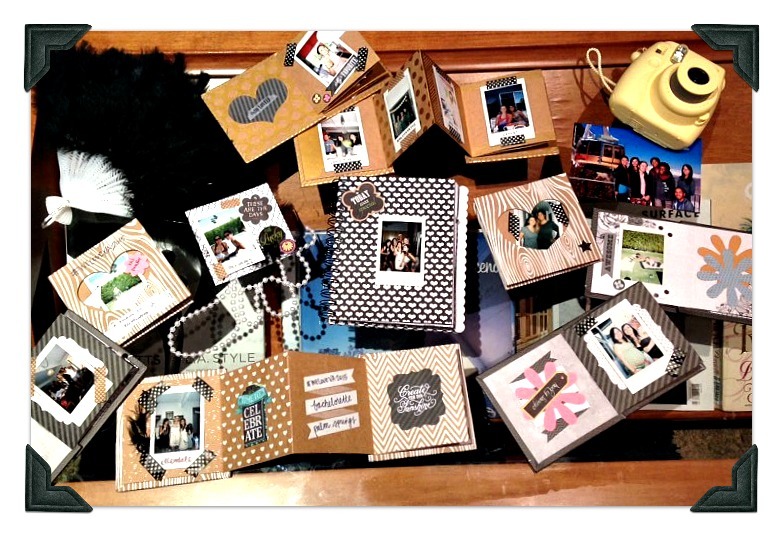 Instead of a second night out, we opted to play games (Dirty Minds, Catchphrase) and each made a commemorative scrapbook of our weekend using Instax pics we’d taken that weekend. The night culminated with s’mores around the outdoor fire pit. On our last morning together, we enjoyed a breakfast of waffles at the house and made friendship bracelets. It felt like being back at summer camp. The perfect bookend to a fun-packed extended weekend in Palm Springs. Of course, we couldn’t leave the house without taking one last photo. Gotta love the cable cars! Oh my goodness, looks like so much fun! So pretty also! Glad you had a great time! That looks like so much more fun than any bachelorette party I have ever attended. Looks like you had a blast. Love the photos from the 20’s style themed party. GORGEOUS! Looked like a ton of fun!! It sure was! Thanks for your comment, Sara. This looks like a lot of fun! What great memories you all have created. I’m sure you all will be talking about this experience for years to come. Definitely. It’ll be a tough bachelorette weekend to top! That looks like so much fun and memories for a lifetime! 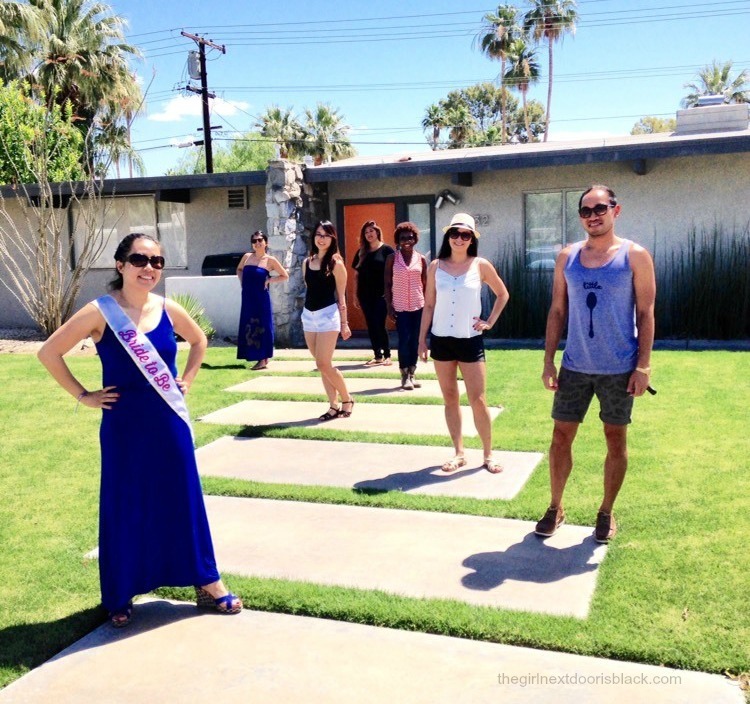 What a bachelorette weekend and great way for the bridal party to get to know one another! The fun you all had sounds like the perfect formula to create lasting relationships and sisterhood. Thanks for allowing me to experience it with you (I felt I was there)! Thanks for your comment, Teri! How fun! That really looks like the best bachelorette party ever. The other times I’d been to Palm Springs, I drove in from L.A. I remember the winds being scary on the road; you could feel the car moving! I wonder if your daughter is a budding daredevil. I like her attitude! Oh my goodness I am in love with this whole weekend….. How awesome, my daughter will probably do something like this as she is in LOVE with Gatsby!!!!!! What a wonderful way to celebrate your friendships and send off your girlfriend. Just beautiful!!! !